If you're seeking a slice of Android Jelly Bean without parting with too many pennies, Sony requests you direct your attention to its new, budget Xperia E handset. 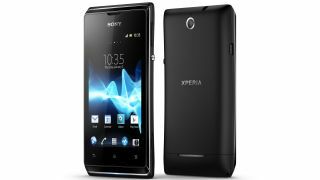 The Sony Xperia E, unveiled in December, has now gone on sale in the UK through independent retailer Clove, for the rather sensible SIM-free price of £129.99. The lower-end (by today's standards) handset was scheduled to go on sale in February, but at least it's here now, complete with its 3.5-inch HGVA screen, a 3.2-megapixel camera and 1GHz processor. There's also 4GB of on-board storage (boosted by a MicroSD slot) and 512MB of RAM, so it's not going to break any records, but will provide ample power for some users along with access access to Google Play and ony's entertainment goodies. Of course, the device isn't going to compare with Sony's all-singing-all-dancing-all-swimming (because it's waterproof... sorry.) Xperia Z, but it does come with a little added bonus for the technically inclined. Sony announced at MWC that it had released a Firefox OS ROM for the Xperia E, so if anyone fanices a play with Mozilla's new mobile OS, get buying and get modding.